BAGUIO CITY – The local legislative body approved the request of Mayor Mauricio G. Domogan for the transfer of the stalls of the month-long Baguio Blooms Exposition and Exhibition from the skating rink to the Ganza parking area to lessen the impact of the activity to the environment in the said area. Local legislators favourably acted on the request of the local chief executive after denying with finality the proposed use of the skating rink for the said exhibition which is part of the income-generating activities of the 24th edition of Panagbenga, popularly known as the Baguio flower festival. However, the 16 landscaping exhibits that were originally set up at the skating rink will remain in the area because it is complimentary to the efforts of the local government to add an attraction in the area aside from the fact it is already difficult to relocate the landscapes that are part of the landscaping competition of the flower festival. The local legislative body also directed the organizer of the Baguio Blooms Exposition and Exhibition to restore the area where the stalls were earlier erected to its original state prior to the conduct of the said activity. On the other hand, the local legislative body deferred action on the request of the Baguio Flower Festival Foundation, Inc. (BFFFI) for the closure of the whole stretch of Kennon road which will be used for the conduct of the week-long Session road in Bloom on March 4-10, 2019 which is one of the major traditional events of the flower festival to allow the organizers to present the overall set up of the acitivity. The Baguio Blooms Exposition and Exhibition, previously known as the market encounter, is one of the traditional events of the flower festival which is usually opened by the organizers every February 1 or right at the start of the month-long festivities. Originally, the market encounter was done at Camp John hay before it was transferred to Burnham Park, particularly at the skating rink and eventually along the stretch of Burnham Lake Drive. 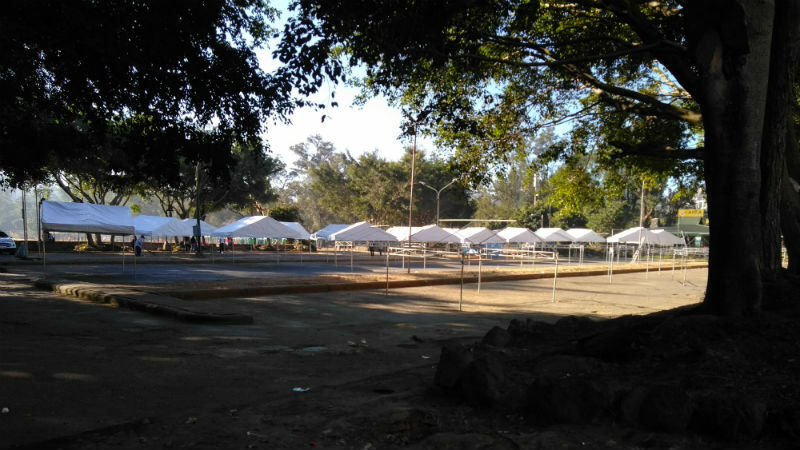 Last year, the local legislative body passed a resolution for the non-use of Burnham Lake Drive and Juan Luna Drive for trade fairs and for the said roads to be always open at all times to ensure the smooth flow of traffic in the area. The resolution was approved by Mayor Domogan that is why the BFFFI opted to use the skating rink as the site for this year’s Baguio Blooms Exposition and Exhibition considering that the same was previously used for similar purposes but the local legislative body denied the said plan for the simple reason that organizers of the activity failed to secure the permission of the council before conducting the said annual event. Mayor Domogan explained that the stalls will be transferred to the Ganza parking area as soon as he will get hold of the resolution from the local legislative body regarding the transfer of the site of the Baguio Blooms Exposition and Exhibition to ascertain the conditions that were imposed for the conduct of one of the festival’s major attractions.